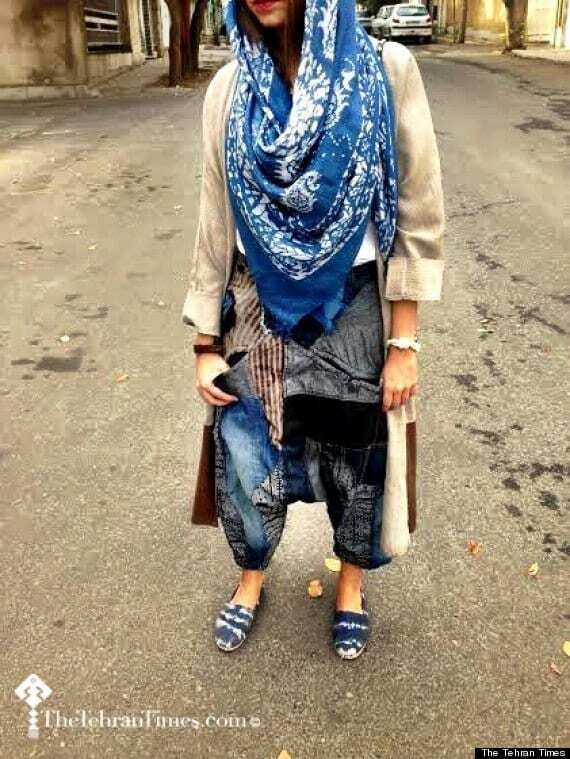 Best Iranian Hijab Style. 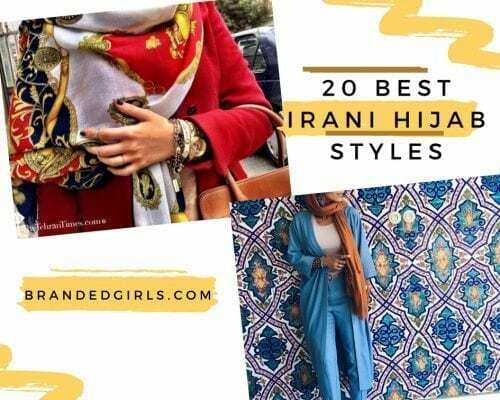 Islamic hijab has been evolved with the passage of time and has become a significant part of Muslim street style fashion and top chic fashion run ways among which Irani hijab holds significant importance in the world of Islamic fashion. Irani young girls and women are banishing sterotyping with their Irani hijab on and are telling the world that they are not oppressed or weak. Be it a chadar, scarf or a loose hanging veil, Irani females know exactly how to carry their hijabs in the chicest and stylish ways. 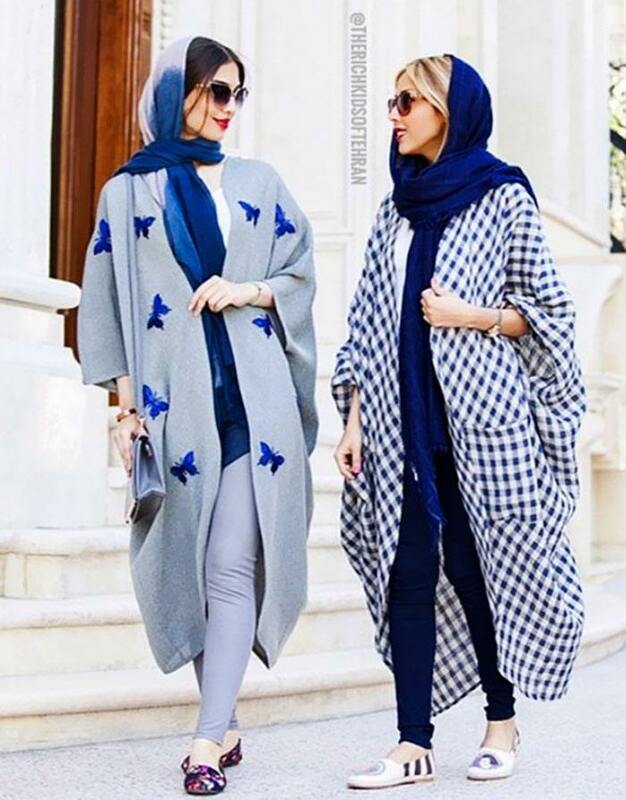 Below are the complied Irani hijab styles that are turning heads of many fashionistas around the world. Tan brown dusky complexion with almond shaped eyes is all we are left with after seeing the bold Irani hijabi women challenging top fashion lovers. The dark brown curly hair hiding in trendy hijab wear in next thing to follow in latest fashion hijab ideas that every Irani girl look forward to. 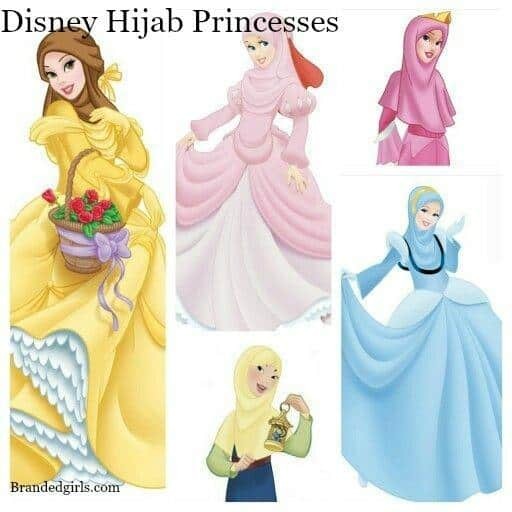 Have a look at these 11 Pics of Disney Princesses Muslim Version. 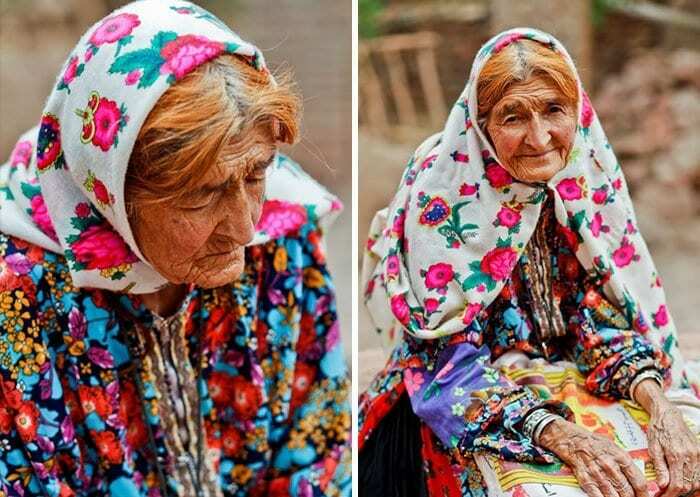 Be it young teenage girls or aged Iranian females, all love to dress up themselves with peerless Tehran’s fabric especially made for taking Hijab. We just love the way the floral patterns have been blended up. Floral colorful patterns are so top of the list in summer season making you look even cooler. The secret : It looks good on every age bracket female! Despite the facial resemblance with Ariana Grande, the model has demonstrated a very classy way to carry Hijab, especially for working women. By the way, the shoes are awesome too ! Black and White has been an evergreen color combination and have always fit in well whether in western or in eastern fashion and women all over the globe love to wear blacks with whites. Black and Whites are something that are must to have in your wardrobe closet as it goes by in any season or at any part of the day. Elegance and class ends up with Blacks and Whites. 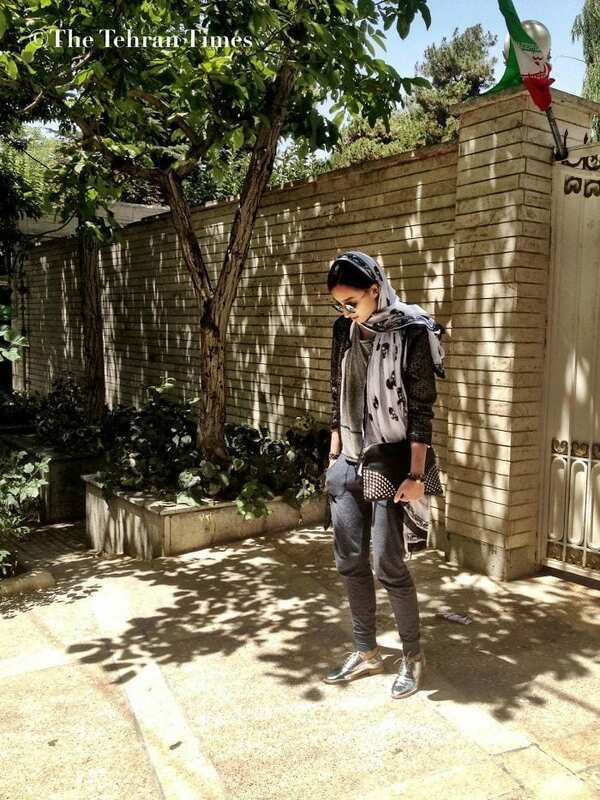 Iranian women have been successfully making bold statements while wearing their hijabs on indicating that hijab is not a sign of social and religious oppression. Another floral demonstration of Hijab especially for summer season making you look even more cooler and chic. 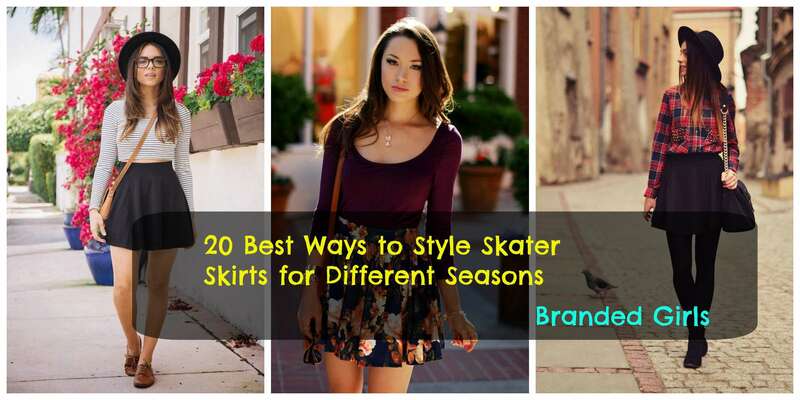 Here are 20 Modest Ways to Try Hijab with Gowns. 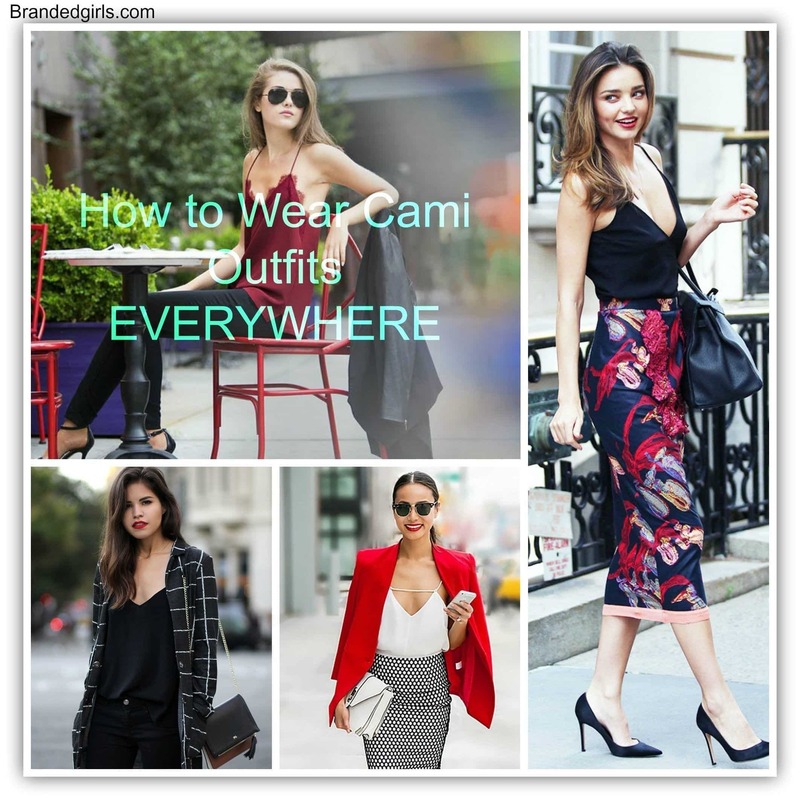 Hijab has been evolved as Chic Street style fashion also and now has been followed by all over the world with proud and dignity.However, it seems like a big inspiration of Hollywood’s gossip girls. We are left with no words except “Simply Beautiful!” Flawlessly beautiful are the ways most hijabi irani girls look like which distinguishes them from rest of the world. 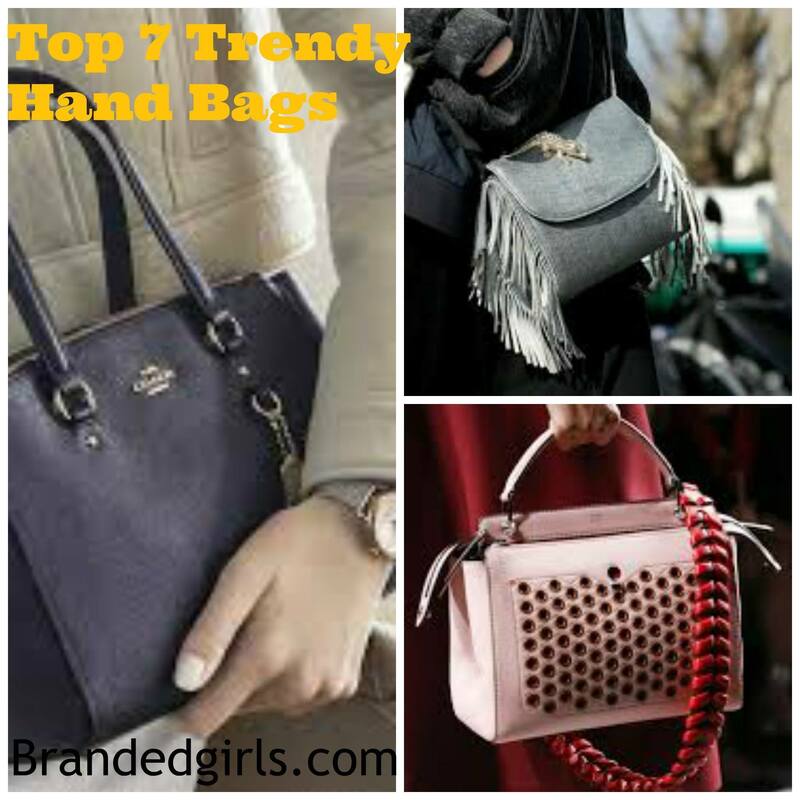 Irani girls have been succeeded in turning heads of western style fans to adopt chic Irani fashion and style. A mantua (from the French manteuil or “mantle”) is an article of women’s clothing worn in the late 17th century and 18th century. Originally a loose gown, the later mantua was an overgown or robe has now been worn in a very decent way making the wearer more stylish, chic and cool. Fashion Tip: Mantua looks great with denim jeans and is an ideal wear for college going teens who love wear hijab and to stay up to date in latest fashion trends. 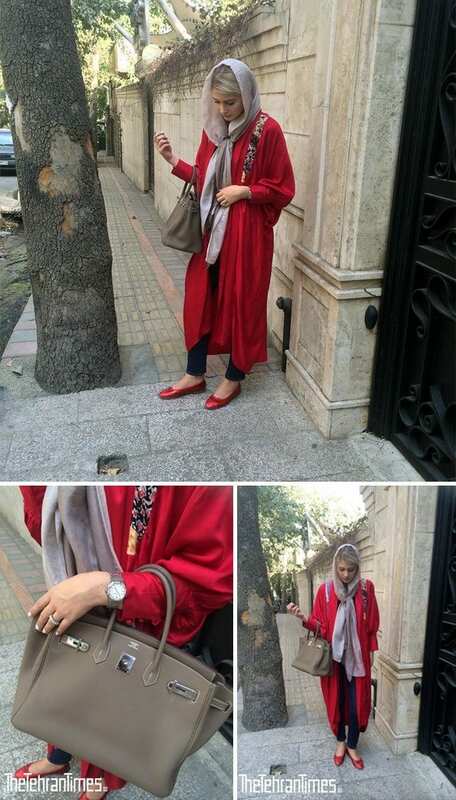 Irani women and young girls are denying the stereotype that women wearing a hijab are weak and unhappy. 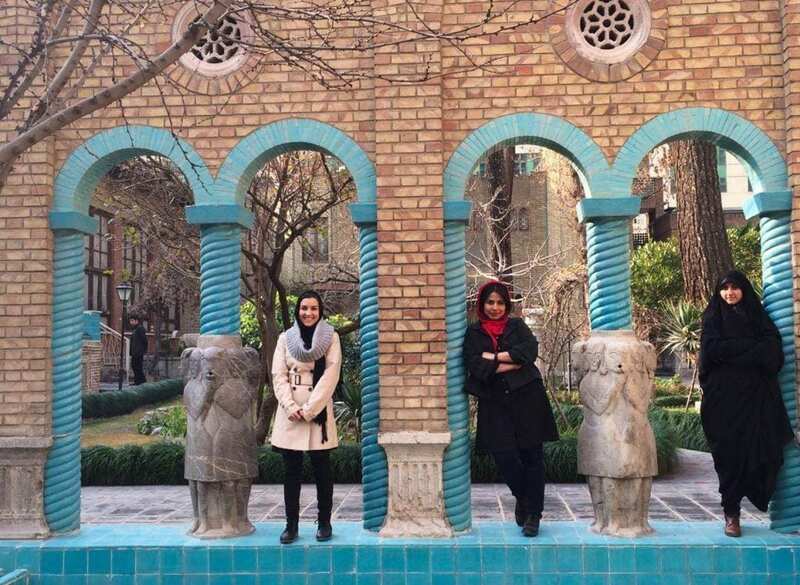 The idea of oppression due to Hijab has been rejected by females of Iran and they have portrayed a quite bolder and empowered image of Iran in all over the globe very vividly. 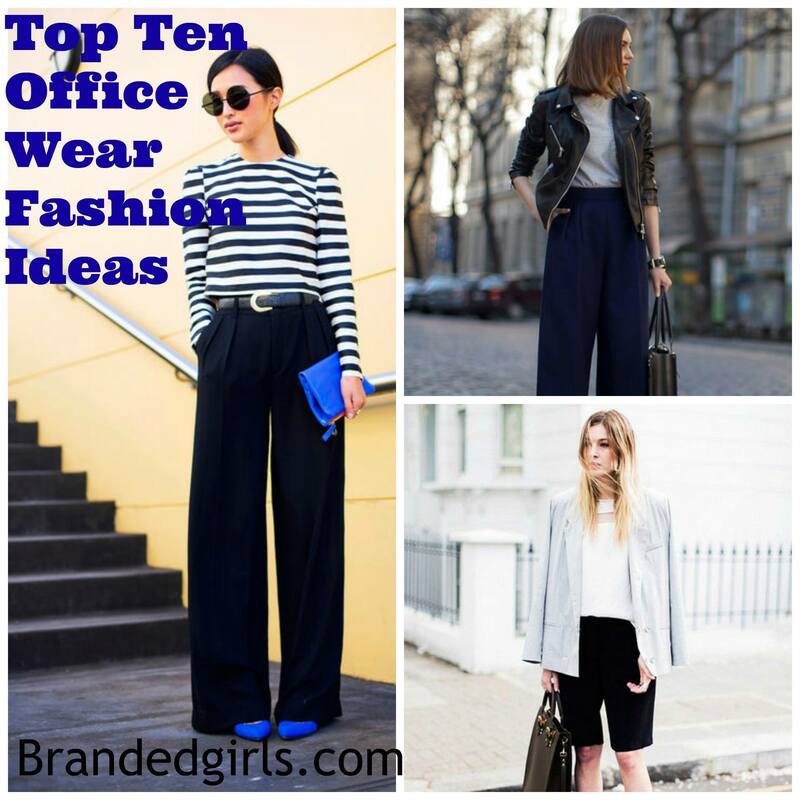 By the way, the shinny shimmering shoes are still an attraction for top chic fashion followers and goes good with jeans. 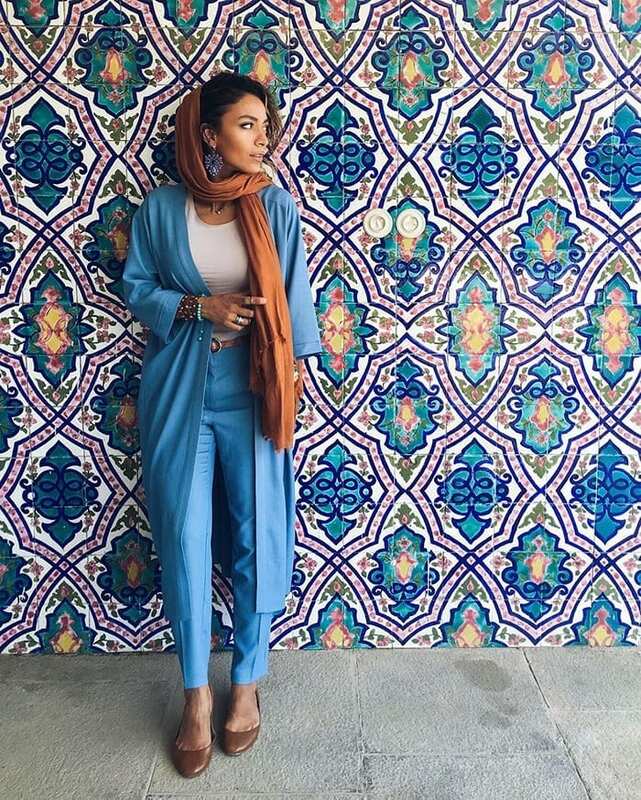 No doubt, Iranian women have become fashion inspiration and Persian hijab fashion has been gaining popularity worldwide too. 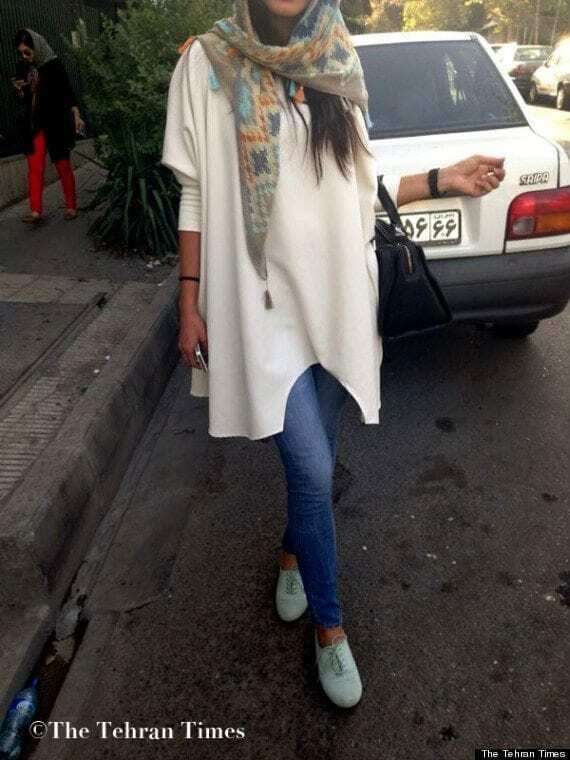 Iran is one of the manufacturer of peerless high quality fabrics for pretty Iranian ladies. 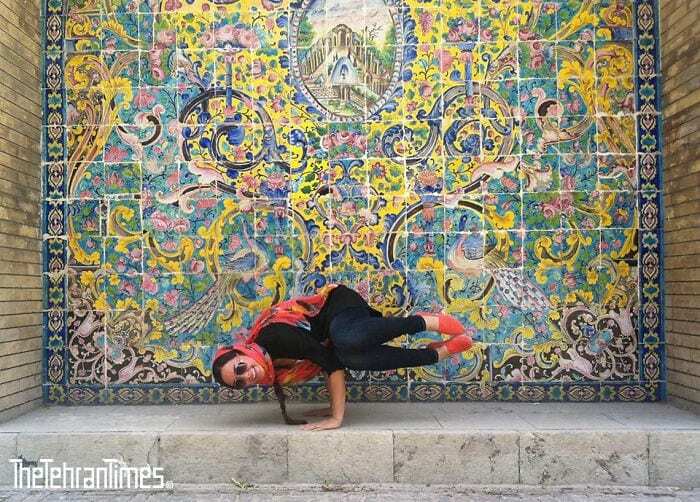 Women of Iran love to show creativity by opting various Hijab styles But some of Iranian women try different fashions of Hijab and government allows them to show their creativity. 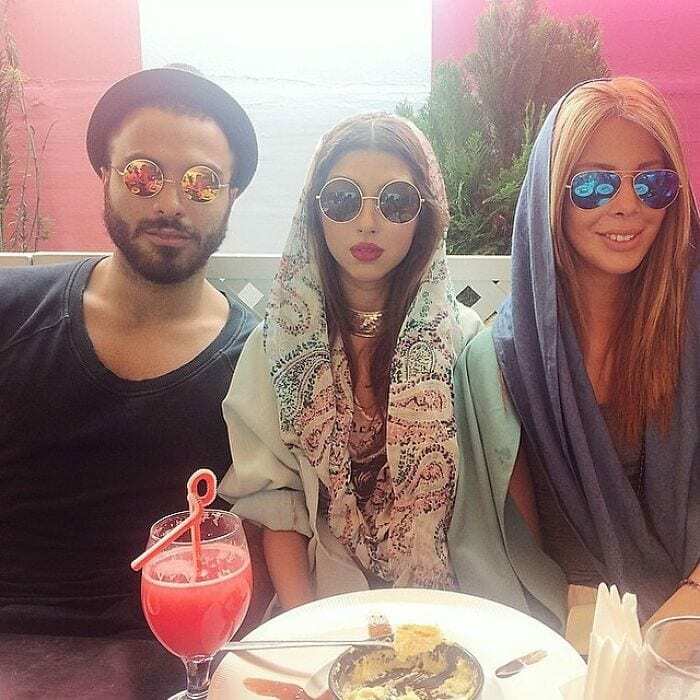 Hijab is mandatory in Iran and so is looking beautiful too. 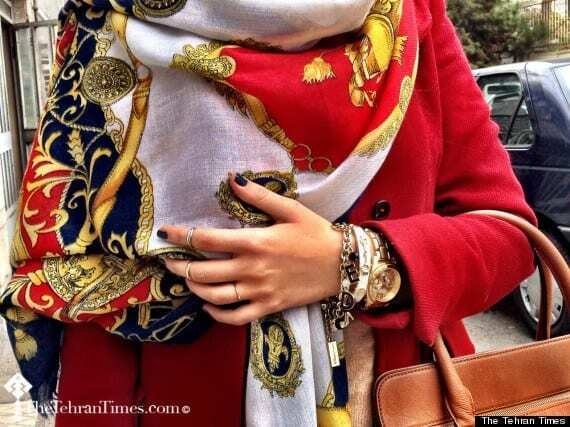 Irani hijab has become a fashion inspiration for many other western fashion lovers too. 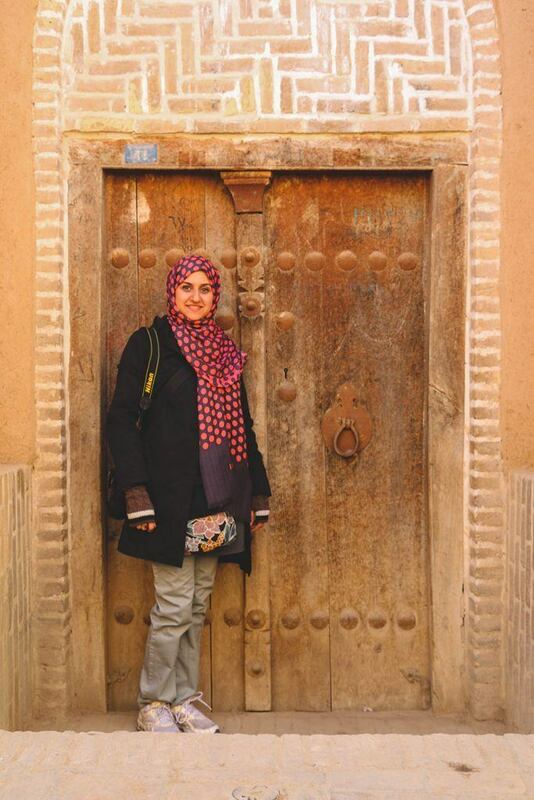 Have a look at these Top 20 Travelling Tips for Stylish Hijabis. Flashy Yellow and fire like Red are another fashion statement of the women of Iran which they love to carry it very boldly. 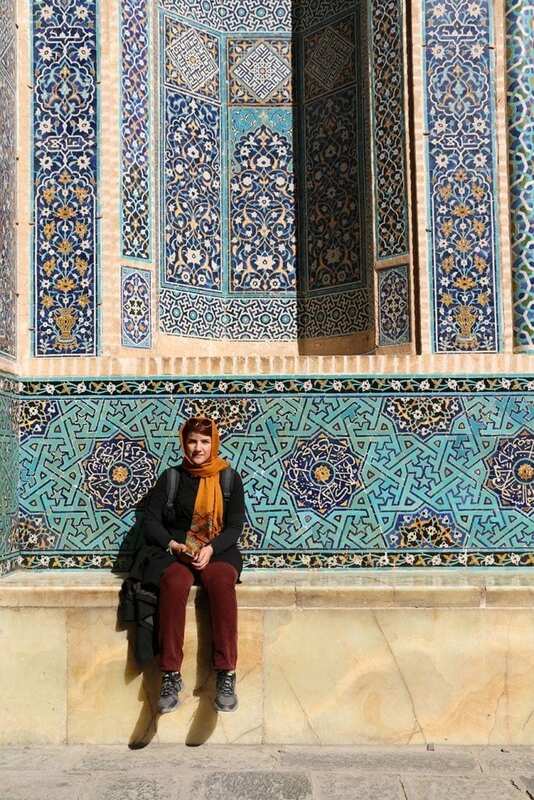 If you are planning to visit Iran, you can have those pictures as a reference for your overall stylish wardrobe style during your visit at Iran. Hijab is not a sign of religious oppression but in fact is a symbol of modesty and dignity. By the way, the mosque art is not far than extremely beautiful. Be as comfortable as you want with your hijab on and don’t forget to carry big bright smile on your face making an empowering bold statement that would be exhibited to the entire world in a happy manner. 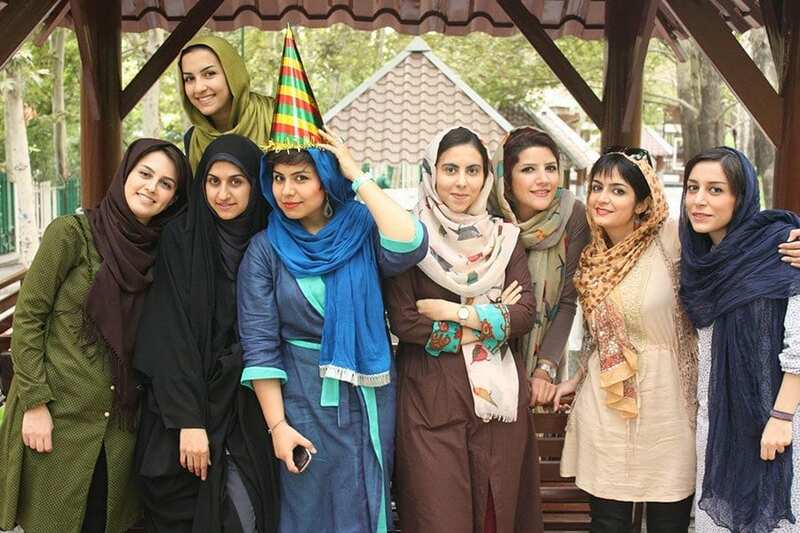 Have a glance at the cheerful smiling faces of Iranian young girls and women saying all loudly that Hijab has now become part and parcel of their daily life fashion which they surely love to wear. These faces are making a vivid statement that Hijab is no longer an emblem of weakness, sadness and oppression.